We make it easy to create a customized category list that maps to your chart of accounts. 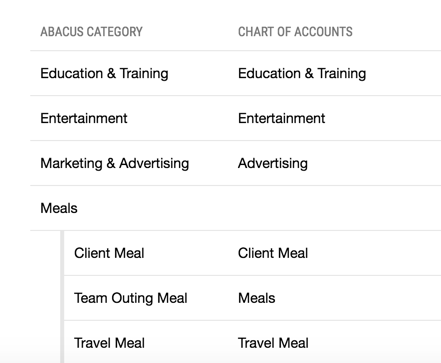 As an Admin, log in to your Abacus account and access your 'Account & Settings' tab, then click on Categories on the left hand-side. To add a new subcategory to an existing category, expand the category by clicking the down arrow, then enter in the new subcategory. Be sure to click 'Save' once done! To Hide categories, simply click on the "X" to disable the category. The disabled category will be moved to the bottom of the page in a Disabled Category list. You can limit the visibility of categories to certain groups. 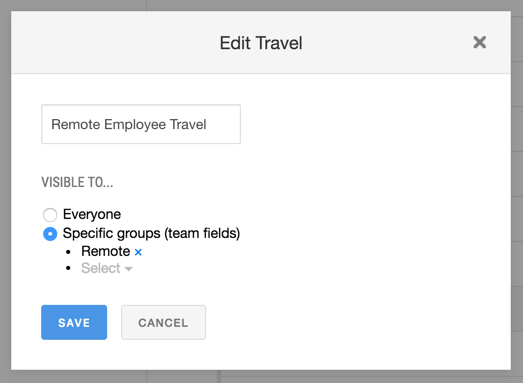 If you've created Team Fields to segment your employees into groups (i.e. Department, Location, etc.) you can limit the visibility of your Categories based on these groups. In this example, the Team Field we're using to limit the visibility of the categories is Location. You can configure your category list according to the Team Fields you've set up, and this will support a more granular approach to your accounting.